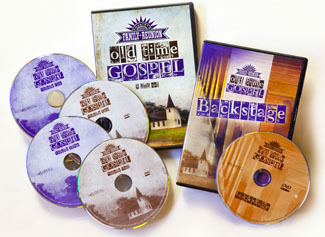 The roots of a lot of the country music we love can be found in the Gospel songs of old. So, we decided to gather all our Country's Family Reunion friends for a series celebrating the gospel songs we grew up with… we call it Country's Family Reunion Old Time Gospel. Hosted by Bill Anderson, Artists in attendance include The Gatlin Brothers, Jean Shepard, Con Hunley, Jim Ed Brown, The Whites, RhondaVincent, Dailey and Vincent, Joey and Rory, George Hamilton the Fourth, and MANY more! All on 5 DVDs, including the ‘Behind The Scenes’ DVD.